a.) they are basically over two-hour long movies. b.) they have so many plots, subplots and backstory/setting that are somehow all inter-connected or not at all. And c.) may be either with the same production as movies or just able to have only a few pieces of painted cardboard stuck together to make a simple background. But that always depends. And with some TV shows becoming popular as their film counterparts and cable companies like Netflix, HBO and even Sky TV having the insane idea to create their own studios to even make them, TV is still up its game and staying on top as everything else in the entertainment area of things. But this isn't about the recent jabber about the shows. Instead this post will be looking into what makes a tv show succeed in the long run, but at the same time what can also be a danger to that success. 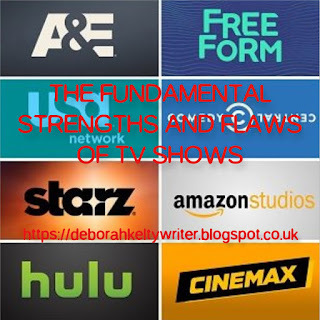 Strength: One of the great positives about TV shows is that you can stretch the plot for as many episodes and seasons as you like, specially when the story outlines are simple enough to remember but also just about complex to hold challenging themes and interesting ideas. This is even more great for adaptations, as while movies might have to cram down the story and take out much of the rich details, the shows can have more of an opportunity to take its time in showing you both the world and the characters within it. Flaw: While this can be in your favor, it can also gradually become an issue. Because if the show does well, then people will then ask. For More. And More. And More. And while that can help with your own outline, it might accidentally take you off the story's track. Or even worse, forget the fact that your setting is a very complex and detailed one, and end up telling the exact same story all the time with new stakes becoming less and less able to bring off a real payoff. One unfortunate obvious example (and I might get some fan rage over this, but it needs to be said) is Doctor Who. 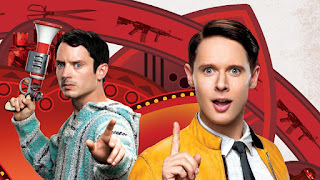 Before I go on, yes, I like the series and love the idea of a lonely person travelling through time on sci-fi adventures with a curious assistant. But as someone who is still new to it all, I can't help but be pretty overwhelmed by the fact there are over 11 SEASONS to get through. And if you take out the fact that it was rebooted and include the classics from the early 60's, that's like over 20. For this reason I don't really know where I would start or end, or even what to skip that might not even be a great episode. The truth here is that Doctor Who has been around since I was still barely in human form, and as harsh as this sounds, it's getting a bit monotonous. Nothing much has changed in terms of narrative and if it has, its only been a rare diamond in a pile of dust. Oh, and while changing the gender might be a nice way to shake things up, it doesn't really make a huge difference. Just saying. 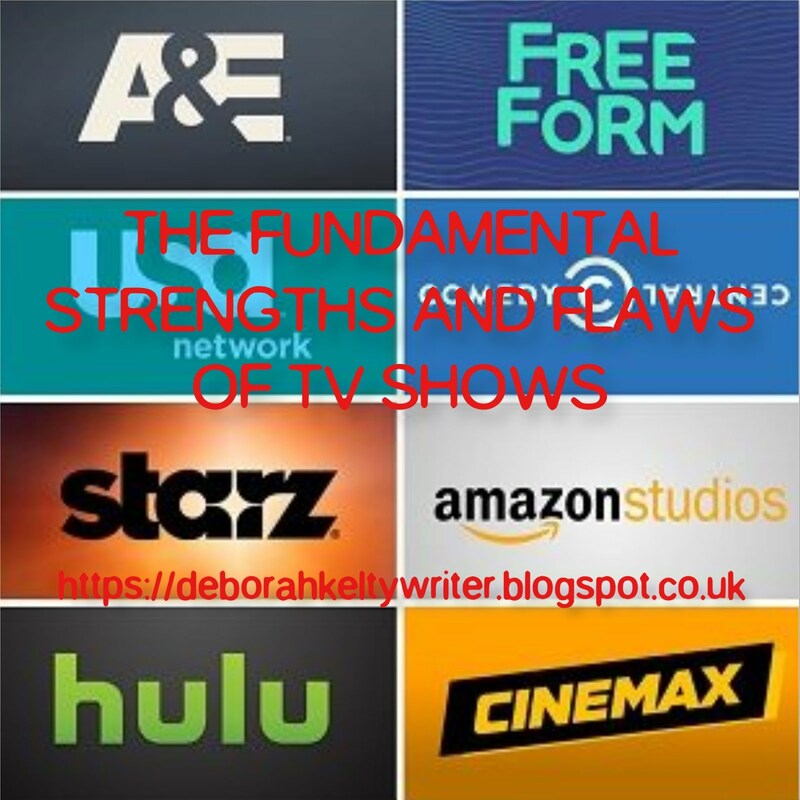 Strength: Like with the plot, the characters have a better chance to be more developed in a tv series. And not just with a few simple areas of their personality, backstory and arcs. A lot of things can be shown about then; not only making them more of a rich and complex cast of characters but also bringing them to a relatable place as well, making them more human in the process. And that's something rarely easy for many writers to catch. 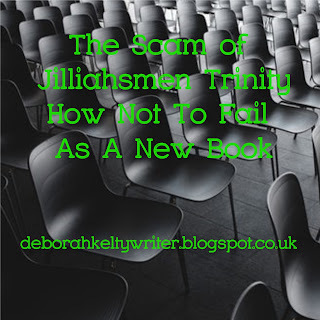 Flaw: Once you have the characters on a higher level of development; this can lead into a big point of confusion. Not for the writers as such, but for the viewers. 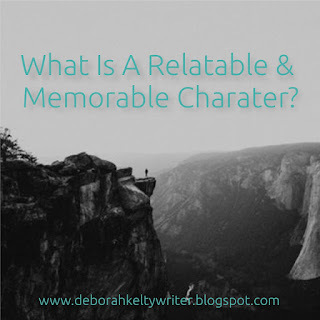 In one way, highly developed characters can be intentional if your series had no obvious sides, such if it's fantasy, sci-fi and other imaginative genres. But it can also become a pretty tricky one to really stick to your series, as this will lead to various people of the audience get more interested in watching a character that might only appear in one every five episodes, than to remain with those that appear the most. Basically make sure that there is a dividing line between main and secondary characters, and have the main with the most development if necessary. Flaw: At the same time, this is not to be an excuse to go on a full low budget just for the sake of saving money that could in fact be used to improve the future seasons. Unless of course it's going towards making parody of the classic tv shows of the past (or it was what you did plan to do), you're going to have a lot of observant viewers asking for their money back. Setting is supposed to enhance the scenes just as much as they bring the story into conflict, so always having the same color pallet, same lighting and so forth will get a little bit boring for the eyes. Long gone are the days when CGI and special, practical and visual effects were basically part of our fantasies. So if you really want to make your show work, then you need to reveal to your audience that you care for it to work. And on that note, those are the main fundamental strengths and flaws of TV shows. Are there any more that I might have missed? Another thing with series is that when you can stretch out the story, some people take advantage of this, and so things never get resolved. For example, a series where you're trying to find a major bad guy. They keep making it seem like they've found them, but wait! No, they haven't, because the problem persists. Someone was describing a series that had this issue, and they finally grew tired of it. And then like you said, some series just repeat the same material until it grows monotonous. Mom sometimes says the same thing about 'Doctor Who'. Sorry I haven't yet replied, but these are good points! I'll confess that one of my favorite tv series I recently watched (BBC's Sherlock) had that same problem with the antagonist Moriarty, as it raised him too much to the point that stakes and mystery HAD to revolve around him. So once he wasn't in certain episodes there was little to replace there because of it. I still like the series for it's character moments and when the mysteries work, but sadly would rather stick with the first two seasons if I watched them a second time. 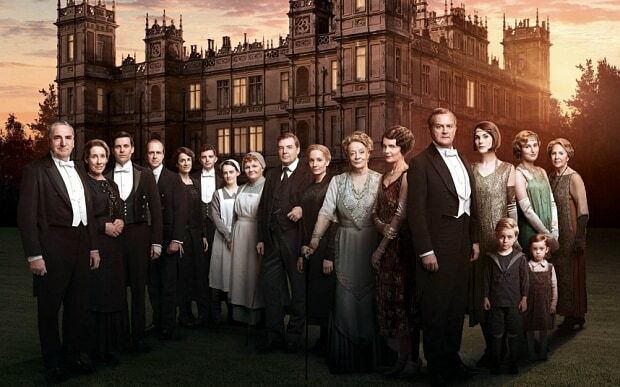 Have you watched 'Downton Abbey'?